On Sept 9, 2015, Derek Saretzky, 22, broke into the home of Hanne Meketech, 69, and killed her with a baseball bat and a knife. Five days later, he killed Terry Blanchette, 27, with a crowbar and kidnapped his two-year-old toddler, Hailey Dunbar-Blanchette, before taking her to a campsite that belonged to the Saretzky family. There, he strangled young Hailey and committed acts of cannibalism to her body. An Amber Alert was issued to find the toddler. However, a day later she was pronounced dead after remnants of her body were found at the campsite in Crowsnest Pass, Alta. On Sept 16, 2015, Saretzky was charged with two counts of first-degree murder in the deaths of Blanchette and his daughter. On April 20, 2016, he was also charged with first-degree murder of Meketech. Saretzky was convicted of all three counts of first-degree murder at the trial, which took place in June 2017. CBC assigned crime reporter Meghan Grant and two others to cover the trial. 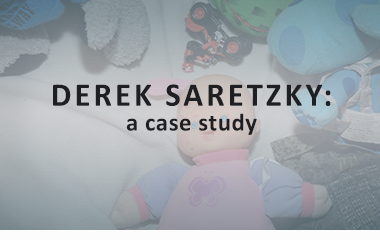 Due to the brutal nature of the crimes, a wide range of graphic evidence was presented, including gory photographs, videos of Saretzky’s confession, and a re-enactment video in which he walked investigators through the brutal acts he committed at the campsite. Grant and her editors were aware of what kind of evidence would be shown in court because of the voir dire proceedings leading up to the trial. The rare nature of the crime and the resulting evidence left CBC with a series of tough editorial decisions to make, including whether or not to use the re-enactment tape and which of the gory photos to publish, if any. Ultimately these decisions came down to one question: how much graphic evidence could the public handle? 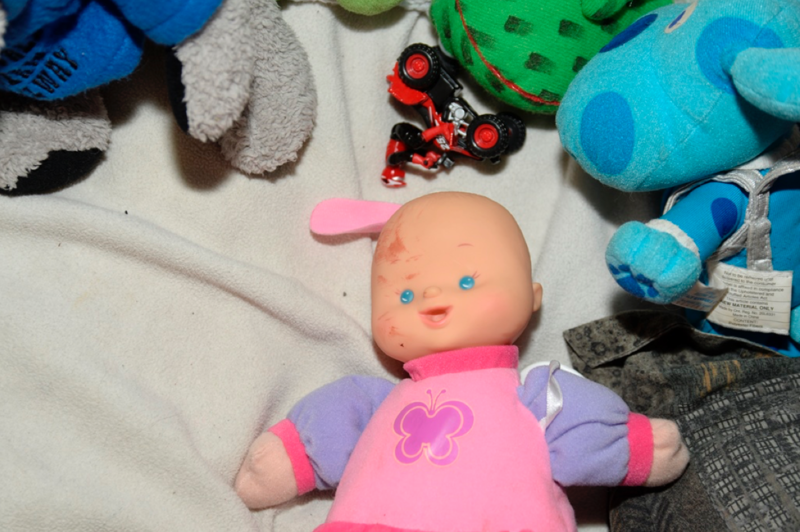 A doll lies on a bed in Blanchette's apartment with some blood smeared on the head. 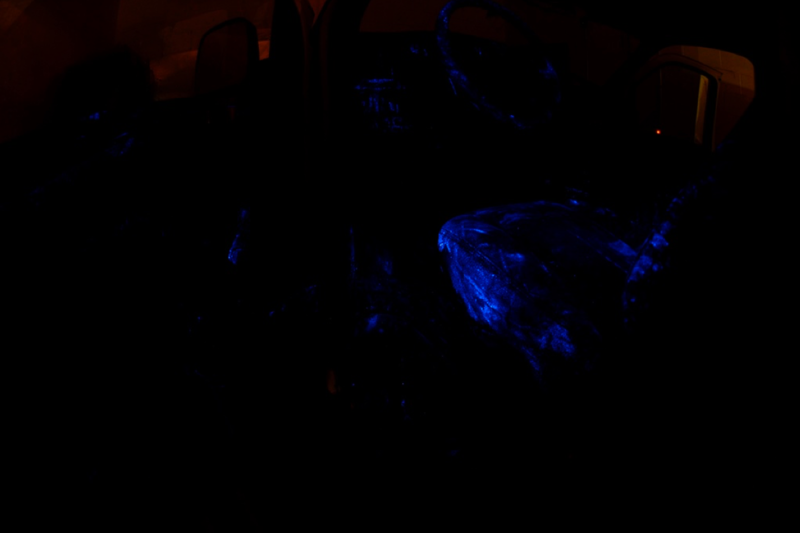 Terry's body was discovered in the bathroom. 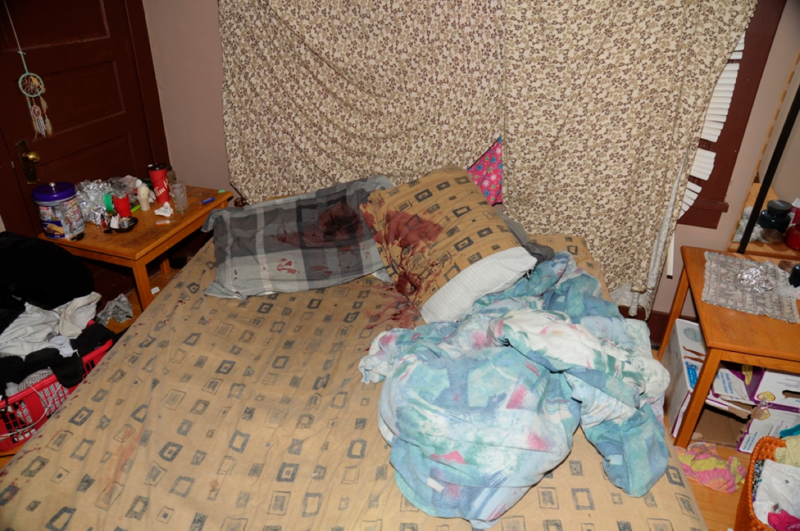 He had allegedly attempted to drag himself away from the bedroom where he was first attacked by Saretzky. 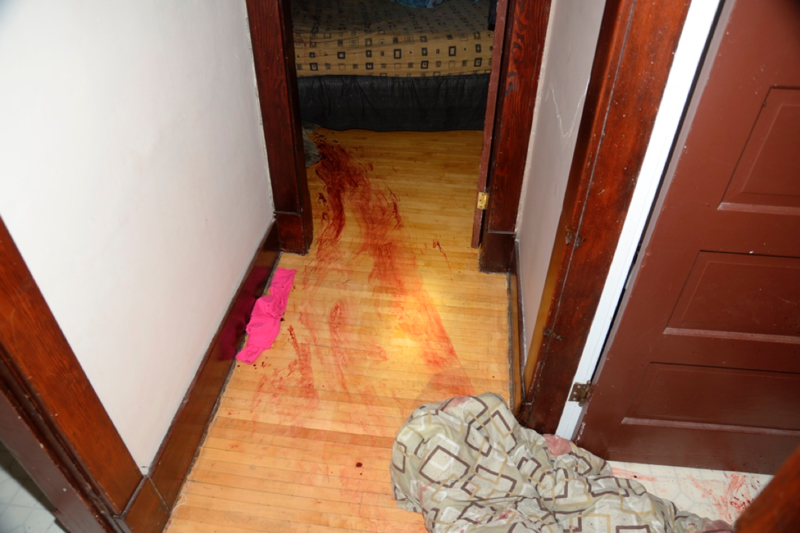 Blood stains drench the bedsheets where Blanchette was first bludgeoned with a crowbar. 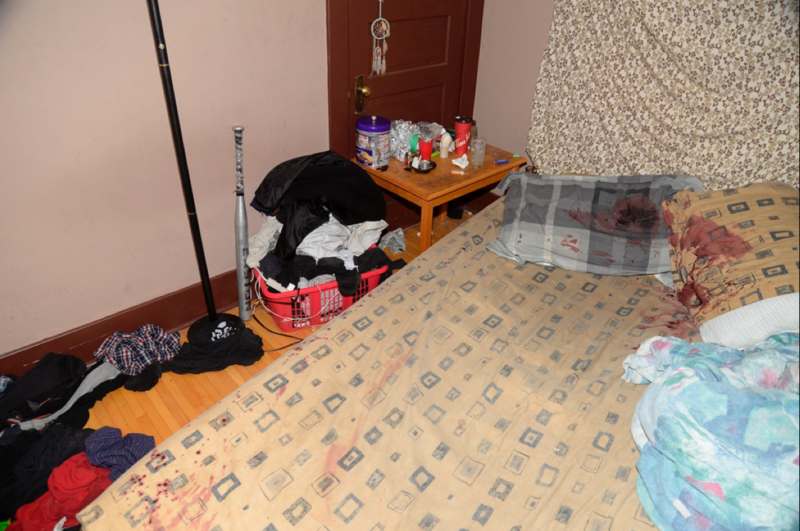 Blood smears on the floor indicate Blanchette's attempt to rescue himself from Saretzky. 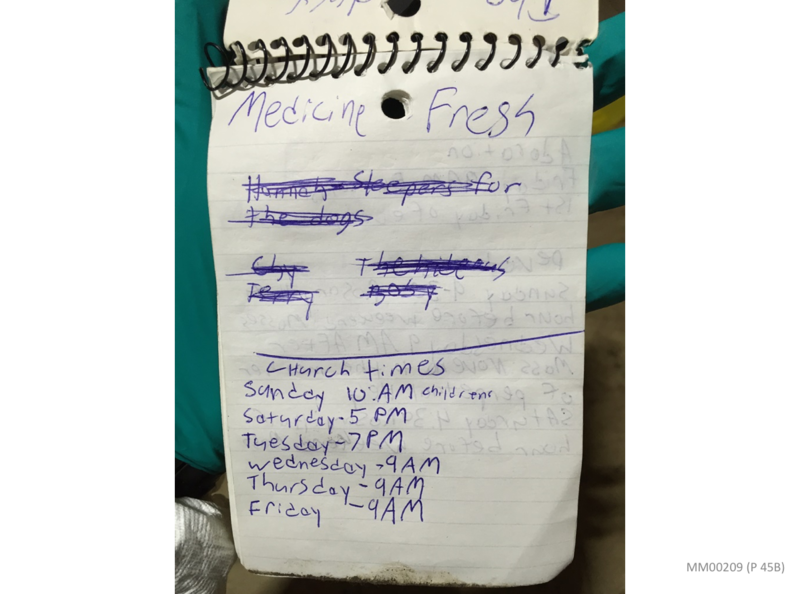 A notepad was found in Saretzky's apartment with a list of his victims. 'Chy' was his nickname for Cheyenne, Hailey's mother who was not murdered. 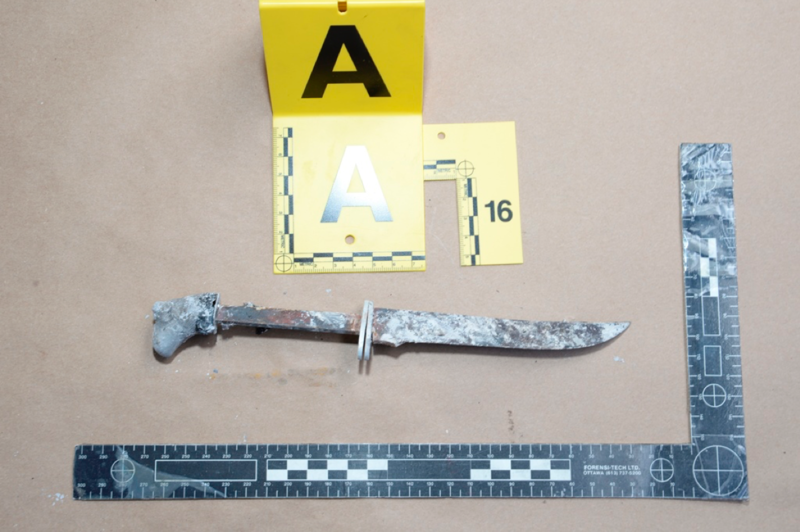 A knife presented as evidence from Saretzky's apartment. 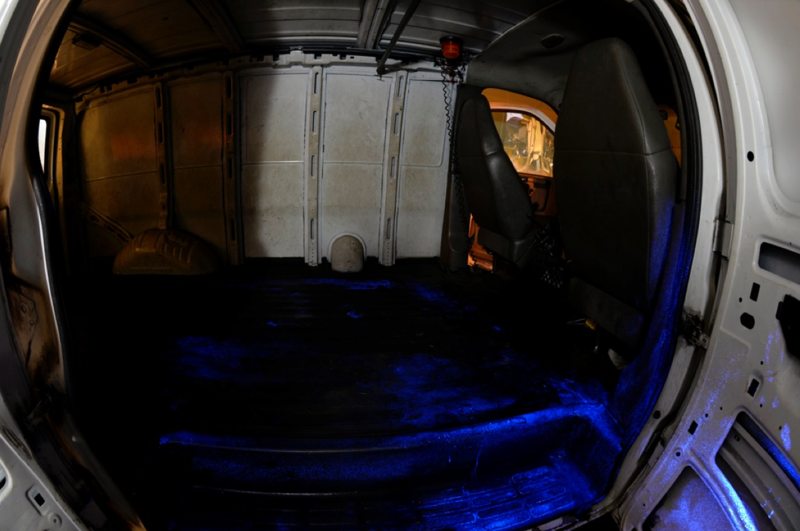 Police traced evidence of blood in Saretzky's van. He used the van to kidnap Hailey after murdering her father and took her to the family campsite where he killed her and proceeded to perform acts of cannibalism on her body.